The weather is getting warmer, and we all know what that means: garage sales! Garage sales are a great way for collectors to build their collections, for finding hidden treasure, and for just about everybody to jump out in the sun and have fun. If you’re anything like us, the best part of spring garage sales are finding surprising items at great prices. 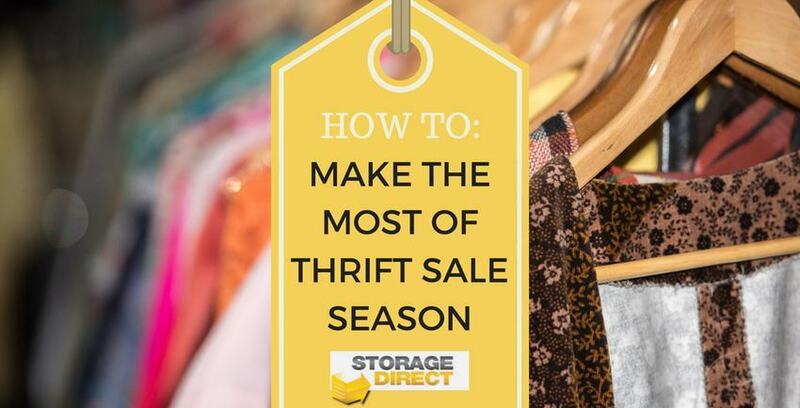 Here are a few tips we’ve put together to help you make the most of thrift sale season. The easiest way to have a successful day thrifting is making a plan. It doesn’t have to be a rock solid plan or anything; just enough to keep you on track. Know what you’re interested in finding and check websites like Craigslist and the newspaper to see what’s going on during the day and where you want to go first. When you drive by a sale, you can always scope it out from your car before you get out. Are a bunch of people leaving without anything in their hands? That might mean it’s a dud. Taking the time to chat with the seller creates a rapport. It puts you in their mind first as a friendly acquaintance and second as a customer. Comment on what you’re out looking for, give a compliment or two, have fun. Be yourself and be friendly and you’ll be more likely to get discounts, package deals, or special consideration for items you’re interested in. You’ll meet some nice people, too! Doing a little research means a few different things. First, find out what neighborhoods around you are the most likely to have good sales. Younger families tend to have garage sales to get rid of things like toys and clothes, whereas older people tend to get rid of housewares and furniture. Research the areas around you to find out where you should head first, and you’ll up your chances of finding something great. There are a lot of ways to negotiate nicely. First off, just ask. If something is priced as five dollars, see if they’ll take four. Don’t say, “This isn’t even worth five bucks!” unless you want to alienate the seller and end up without anything. If you’re having trouble getting into bartering, try explaining why you want whatever you’re buying, and why you think the price they’re asking is too high. Be clear and respectful, both about why you value the thing you want, and why you think your counteroffer is a more reasonable price. If you’re honest and friendly, chances are you’ll make your case successfully. With all these new thrift sale finds, don’t feel bad if you need to put some things into storage to make room for your latest finds. Being able to swap things in and out of storage in order to change up your home’s style is the easiest way to make the most of your thrift sale season finds! Happy deal hunting, everyone.